Adopt one of our whales! We partner with Oceanic Society to offer symbolic whale adoptions, which help to support our research, education and community development work. 50% of the adoption proceeds go directly to supporting our project and the other 50% support the work of Oceanic Society. What better gift could you give someone than a whole WHALE for a year or two years? 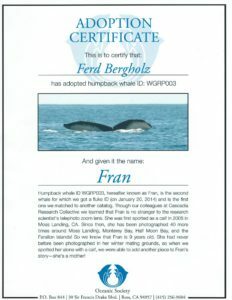 What better way could you commemorate a loved one than by naming a whale after them? 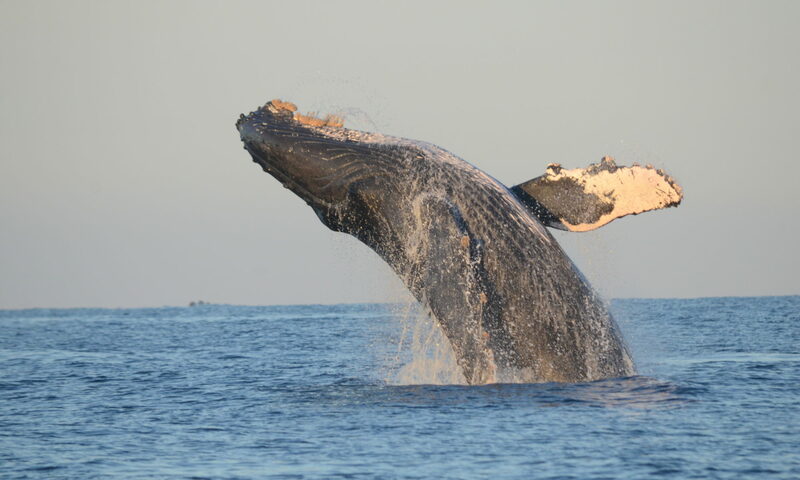 When you adopt a whale through Oceanic Society, we let you know when we spot your whale again and connect you to your adopted animal and by extension the entire ocean.